Please join us in welcoming our newest Apprenticeship Instructor, Raymond Newton! He has experienced most aspects of the electrical trade, from residential to full industrial systems, and has worked extensively in the water industry. Raymond previously built and maintained systems to produce clean water, and he found it rewarding to help others have access to clean water. 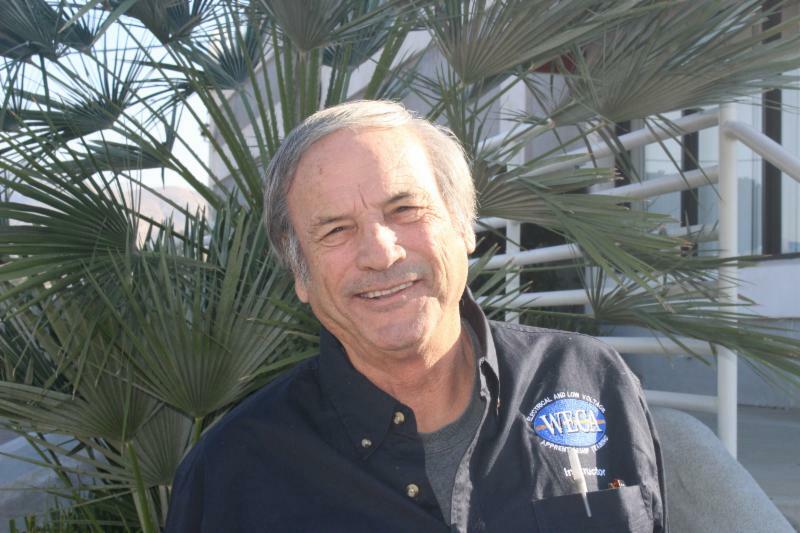 He brings over forty years of experience as an Electrician to WECA, where he teaches out of the Riverside training facility. Raymond's teaching style focuses on integrating the hands-on training apprentices receive in the field with in-class preparation. He adds, "I teach the installation in our labs and apprentices put their training to further test at work in the field." Raymond works to ensure his students learn their trade in the textbooks and the lab, so that they are effective and knowledgeable during their time in the field. Raymond says, "Being an electrical contractor, I have seen the need for able apprentices and journeymen electricians. The electrical field is constantly changing. New metal alloys that have improved conductive and cooling characteristics, new safety ideas, and new equipment." He felt inspired to teach apprentices early in their career, and now he does just that. Raymond says he loves educating the newest generation of electricians, and that one of the aspects he most enjoys is preparing apprentices for the state exam. Raymond says his advice to WECA Apprentices is to "always apply yourself with your best effort, because your best effort can be historic." Well said, Raymond! Welcome to the WECA team, and we're excited to have you on board.